5 U.S. ambassador to Japan Caroline Kennedy arrives with President Barack Obama at Sukiyabashi Jiro sushi restaurant for a dinner with Japanese Prime Minister Shinzo Abe in Tokyo, April 23, 2014. 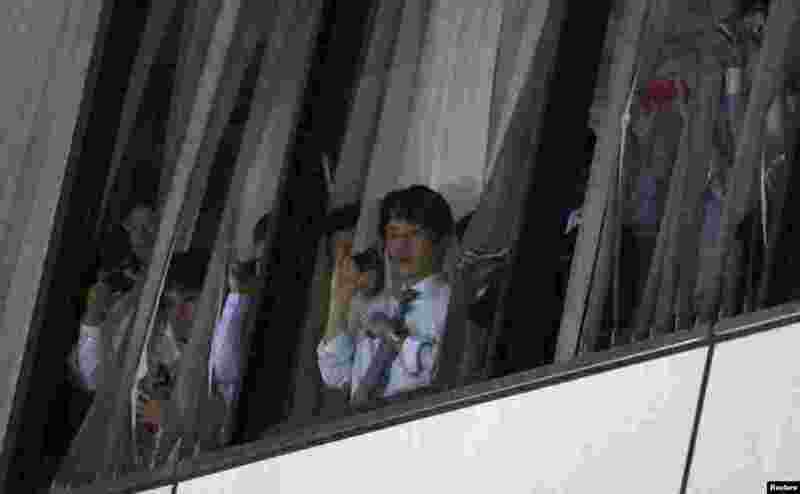 6 People wait to take pictures of President Barack Obama and Japanese Prime Minister Shinzo Abe while they have a private dinner at a restaurant in Tokyo, April 23, 2014. 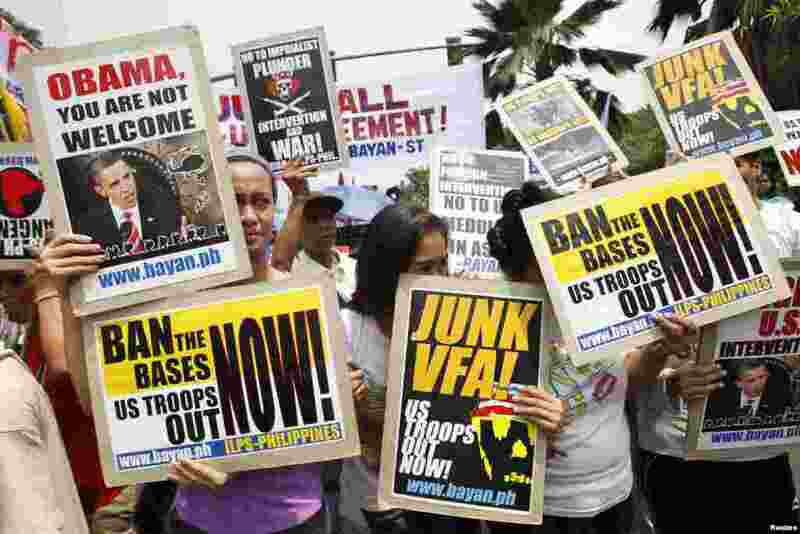 7 People protest the upcoming visit of President Barack Obama in front of the U.S. embassy in Manila, April 23, 2014. 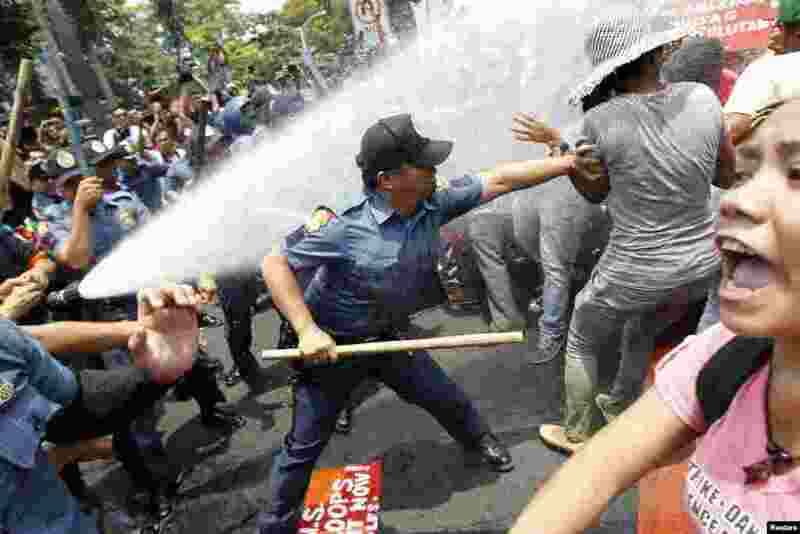 8 An anti-riot police officer reaches to grab a protester during a protest against the upcoming visit of President Barack Obama in front of the U.S. embassy in Manila, April 23, 2014.